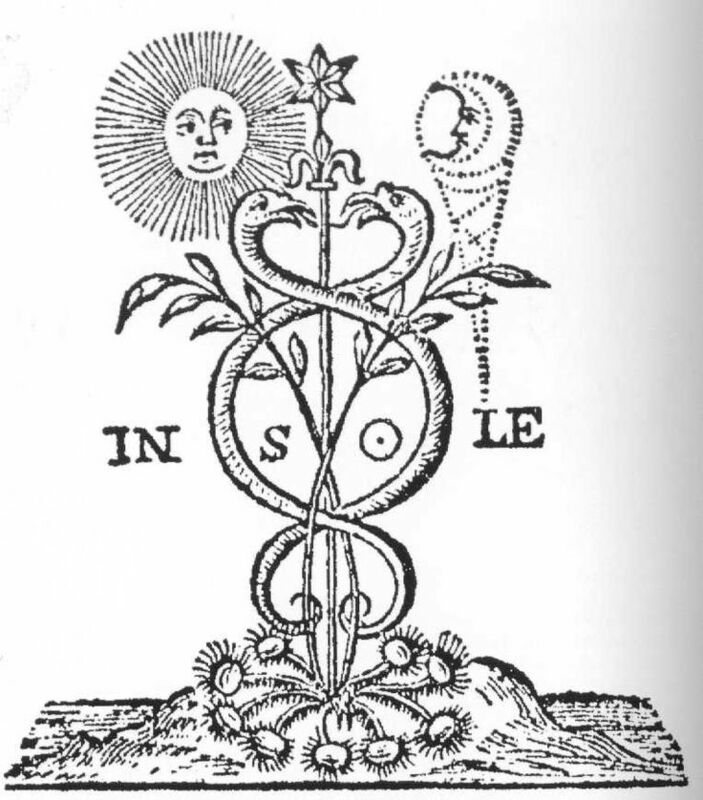 Just as we are in the wake of the exact Cardinal Cross corresponding to a multitude of chaotic current events, Mercury steps into his Superior Conjunction with the Sun. When Mercury is moving direct and conjunct the Sun it is called a superior conjunction because Mercury is moving very fast (this is in contrast with the Inferior Conjunction that occurs when Mercury is moving retrograde and slow). Demetra George has compared Mercury at this phase of his cycle with the Sun to his detriment placement in Sagittarius because he has gone invisible under the beams of the Sun and his swift movement can correspond to both ingenious insight as well as a feeling of overwhelm in the face of an avalanche of disorienting information or events. The challenge is to assimilate and to integrate all of the information that is made available at the superior conjunction: this is always the case, but the fact that this particular superior conjunction is occurring at the time of the Cardinal Cross, in between a Lunar Eclipse and a Solar Eclipse, makes this a particularly volatile and catalytic superior conjunction. We may be sensing brilliant insights of genius, the frenzied madness of a manic perspective, or both at the same time. What is clear is that this time of a Cardinal Cross in between eclipses has lived up to its billing as an intense crossroads: liberation from past limiting patterns is the potential benefit of this time, and so we need to maintain the mental balance to take in and digest the profound insights available to our perception. 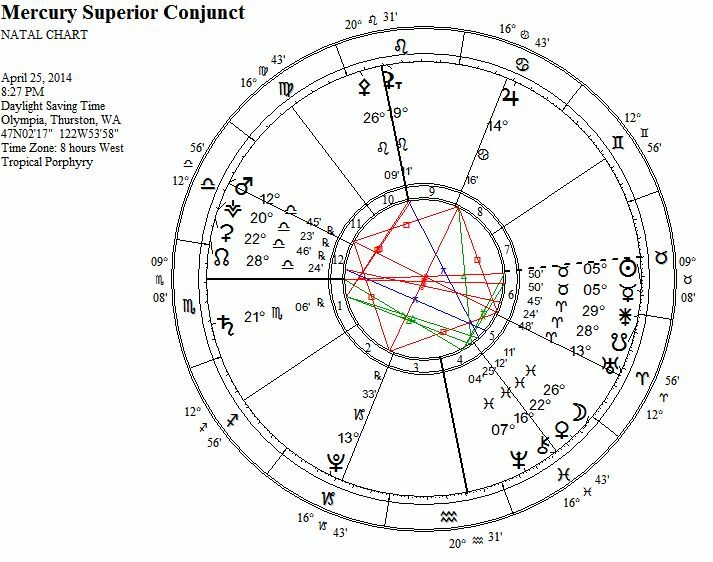 While one can see in the chart above the square alignment between Mars retrograde in Libra, Jupiter in Cancer, Pluto retrograde in Capricorn, and Uranus in Aries, one can also see that Venus is tight in trine to Saturn retrograde in Scorpio as well as conjunct the Moon in Pisces. Yes, grand squares can be stressful, but they are also a building energy that can initiate new forms and structures, particularly in the cardinal signs. 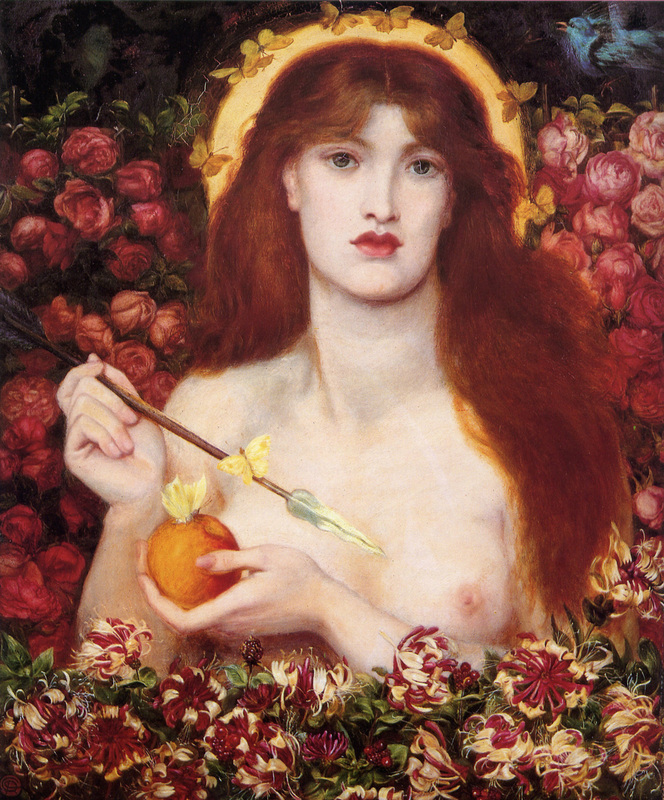 Venus in Pisces rules the superior conjunction of Mercury and the Sun in Taurus, and since she is also aligned with the Moon and in trine to Saturn we have an opportunity at this time to perceive the profound personal message directed at us from the universe that is found in this Cardinal Cross. Venus in Pisces and Saturn in Scorpio also bring in the two other modes of operation besides the initiatory focus of Cardinal signs: Venus being in a Mutable sign that helps us to flow with changes while breaking up and mediating our experiences into the essential take away, Saturn being in a Fixed sign helping us to solidify and realize the golden insight we can glean while processing all of the events and exchanges occurring in our lives at this time. Mercury like Saturn is also in a Fixed sign at this time, and in fact in this period will quickly move through Taurus and become exactly opposite Saturn retrograde in Scorpio (May 2, 2014). Mercury in Taurus is ruled by Venus transiting in Pisces, and in Taurus she is more of an inner Venus focused on our inner resources and values, a Venus that helps us connect with our body, our bodily instincts, and perception open to us through body language and interpretation. Mercury being in a fixed sign lends stability to an astrological archetype that is very fluid: Mercury can go between the underworld and the upper world, in traditional astrology he can belong to both the diurnal and the nocturnal sect, and indeed he is able to find the middle ground while mediating between worlds and unifying opposites. 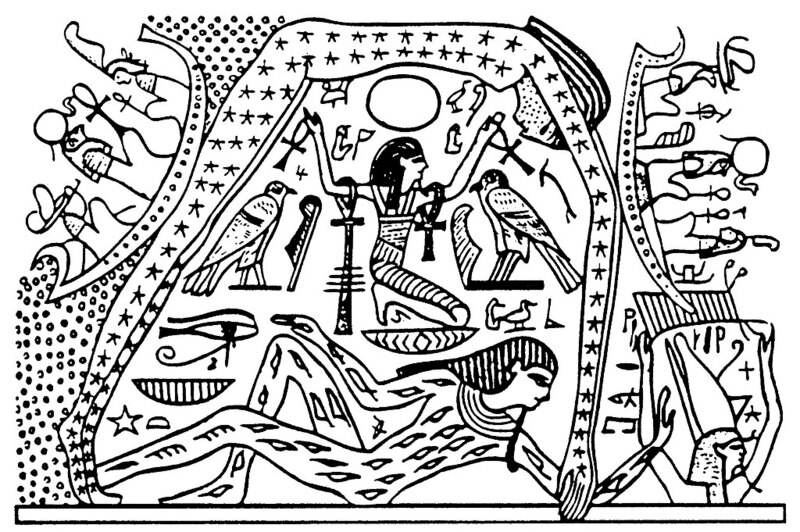 Amazingly, the Sabian symbol for 6 Taurus where the superior conjunction occurs evokes this meaning: “cantilever bridge across a deep gorge,” with the keynote meaning of a “conquest of separateness through group cooperation” (Rudhyar, p. 74). To Dane Rudyhar, this symbol stresses the need to participate in a “collective project” in order to build a link “through the power of the collective mind of the group or the community at large, on the basis of the legacy of the past, to make a bridge over the canyon” (Rudhyar, p. 74). We need Mercury at this time to help us make sense of everything occurring around us: it is not just our own personal patterns that are being revealed for our personal liberation, it is the great collective patterns of our collective history that are also being revealed, and it will only be through collective group effort that we will be able to collectively liberate ourselves from them. The significant shift that follows the superior conjunction of Mercury and the Sun is the transformation of Mercury from a Morning Star to an Evening Star. Mercury is in his Morning Star phase when he is behind the Sun by zodiac degree, and he is in his Evening Star phase when he is ahead of the Sun by zodiac degree. When Mercury reaches about fifteen degrees before the Sun he disappears in the Eastern sky at sunrise, only to rise again at sunset as an Evening Star when he reaches about fifteen degrees ahead of the Sun. In the last couple of months as a Morning Star, leading up to our current Cardinal Grand Square, Mercury has been functioning more in his Morning Star role as a more objective, yang energy that is outwardly directed and effective in a more public focus on reputation, honors, and career. Once Mercury becomes an Evening Star, he will embody a more reflective, yin energy that is both subjective and intuitive, able to perceive information through dreams, memory, and bodily instincts. At this time of Mercury’s superior conjunction, however, leading up to the Solar Eclipse that will occur around April 29 (or April 28 depending upon your time zone), we are in a time of accelerated perception and information, a vortex in which we may encounter many opportunities and be able to accomplish a great deal if we can maintain our focus amid the catalytic energy of the Cardinal Cross and Solar Eclipse. 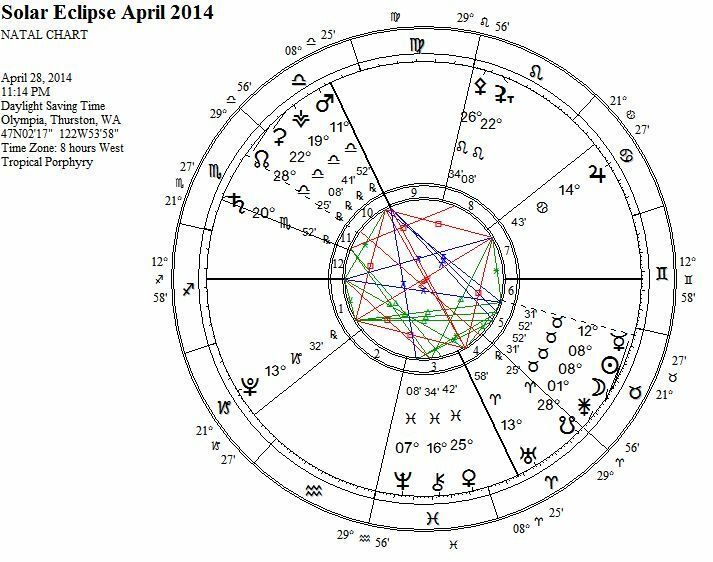 One can see here that at the time of the Solar Eclipse, Mercury will be (1) sextile to Neptune and Chiron in Pisces, (2) in trine to Pluto in Capricorn, and (3) in sextile to Jupiter in Cancer. This means that Mercury will be mediating between powerful transpersonal and personal energies during this Solar Eclipse he is closely conjunct in Taurus, giving us the opportunity to perceive information and insight through the collective conscious and unconscious (Neptune in Pisces) that can help us regenerate core aspects of our authentic Self that can in the end help us re-make and re-form structures of the surrounding systematic power structure (Pluto in Capricorn). We can also gain insight into how we have been conditioned to judge ourselves or allow ourselves to be judged or shamed by the imposed expectations of others. Remember that very recently at the time of the Lunar Eclipse a couple of weeks ago that Mercury was conjunct Uranus in Aries as we entered this Cardinal Cross time period: as a result Mercury is carrying a liberating message from Uranus with him into the Sun and the Solar Eclipse. Making things even more amplified, the opposition between Jupiter in Cancer and Pluto in Capricorn has been in place for all of 2014 so far, and has been intensely triggered at this time of a Cardinal Cross. It is therefore incredible at this time of Mercury’s superior conjunction that also happens at a time of a solar eclipse that Mercury is conjunct, that Mercury steps into such harmonious mediating aspects between Jupiter and Pluto. This is a time to gain greater clarity for our true values, and the purpose and passion in life we want to direct our inner resources toward in this next phase of our life. Furthermore, just as Venus in Pisces is ruling the Solar Eclipse occurring at this time, so does Venus also rule Mercury’s journey through the sign of Taurus. And as previously mentioned, Venus in Pisces is now significantly in trine to Saturn retrograde in Scorpio as we enter the superior conjunction of Mercury and the Sun in Taurus. Love is the great harmonizer that can weave together disparate elements and events into a Venusian tapestry that can help us nurture ourselves during any wounding experience. Venus was recently conjunct Chiron in Pisces and in trine to Jupiter in Cancer, and now that she is also in trine to Saturn retrograde in Scorpio means that we can get a more visceral feeling in our bodies and bones regarding the deeper meaning of recent events with respect to our core being. It also gives us the ability to manifest a deeper sense of love into our daily existence, focusing on what we want to have happen with a greater ability to materialize aspects of our authentic desire. Mercury is moving fast however, and so will remain in the Venus ruled sign of Taurus for only a few weeks as he travels invisible under the beams of the Sun. Mercury will appear again as an Evening Star in the sky at his acronymic rise at Sunset, occurring around May 9, 2014 when Mercury reaches fifteen degrees ahead of the Sun: Mercury will be enjoying himself in the early degrees of Gemini at this time. Demetra George has compared Mercury in this phase of his cycle with the Sun as being similar to his exaltation in the sign of Virgo. This is not the youthful, risk-taking, and overly curious Hermes, but rather the sage and bearded Hermes, the educator of youth and the wise inventor of letters and numbers, the discerning interpreter of words and the giver of medicinal drugs. The combination of this phase of Mercury being similar archetypally to Mercury’s exaltation in the discerning Virgo with the transit of Mercuy in his inquisitive home sign of Gemini is absolutely perfect to help us digest and integrate all of the mind blowing experiences from this time period. As a result, Mercury moving direct as an Evening Star in the sign of Gemini will help us assimilate, classify, organize, and integrate all of our wild perceptions from this time period with a more deliberate mental process able to flow and navigate with all of the changes arising. In these ways, Mercury will continue in his role of mediating the intense events of the Cardinal Cross within our perceptions through the Spring (in the Northern Hemisphere where I live; of course in the Southern Hemisphere you are in Autumn now), significantly reaching another phase of his journey on June 7, 2014 when he will station retrograde at four degrees of Cancer in trine to Neptune in Pisces. This will be the next phase of our mental integration of all the changes happening now, the Mercury retrograde phase, where Mercury will take on more of the meaning of his detrimental placement in the sign of Pisces, a time of release of old thought forms and concepts in preparation for visualizing and envisioning our new future yet to come. Mercury in this period has a strong ability to interpret omens and signs in our night-time dreams and day-time explorations, and since this retrograde phase will begin with a trine to Neptune in Pisces it will also give us the opportunity for greater acceptance and healing of any wounding changes occurring in our lives during this Cardinal Cross time period. Again with amazing timing, Mercury in this phase will experience his Inferior Conjunction with the Sun around the time of the June Solstice (the Summer Solstice in the Northern Hemisphere; the Winter Solstice in the Southern Hemisphere) at the very end of the sign of Gemini. In the beginning of July, Mercury will station direct to move forward again in a month where Mars will finally leave his retrograde shadow zone, Jupiter will leave Cancer to enter the sign of Leo, and this Cardinal Cross time period will be clearly left behind. So welcome the wise trickster Hermes into your life right now: Mercury is making himself available at this time to help you navigate literally anything you are currently facing. Demetra George. (2012). 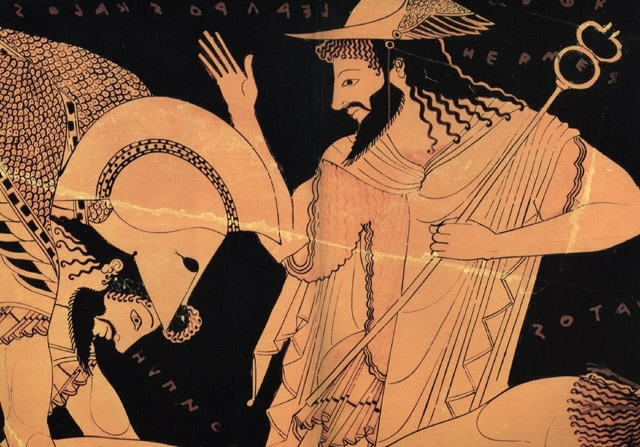 Lecture on Hermes: Guardian of Thresholds. UAC. Dane Rudhyar. (1973). An Astrological Mandala: the cycle of transformation and its 360 symbolic phases. Vintage Books.